The Australia Council for the Arts today announced a new application model for Aboriginal and Torres Strait Islander arts funding after extensive consultation with stakeholders in the sector. 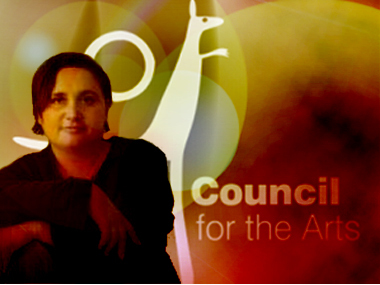 Australia Council Aboriginal and Torres Strait Islander Arts Board Chair Lee-Ann Buckskin said the new process would make it easier for applicants to apply for funding. “The Australia Council’s Aboriginal and Torres Strait Islander Arts Board undertakes regular reviews of the funding application policy,” Ms Buckskin said. “An extensive review of this process was undertaken earlier this year to examine current and alternative eligibility criteria, and evaluate its appropriateness, respectfulness, efficiency and effectiveness. “The Australia Council issued an options paper based on these terms of reference to more than 1,700 people and organisations in the Indigenous arts sector and relevant stakeholders. “Submissions were received from Aboriginal and Torres Strait Islander people from all states and territories. “A workshop was also held with about 40 representatives from Indigenous arts organisations to discuss various application options. “Themes emerging from the consultation include the need to protect resources dedicated for Indigenous people and this should be done in a sensitive way, and government agencies have no role in deciding who is and who isn’t Indigenous. Ms Buckskin said the new model would no longer require artists to confirm their Indigenous identity at the application stage, and if successful they would need to agree to provide confirmation of their Indigenous identity if requested. “Written confirmation of an artists’ Indigenous identity would be accepted from an Aboriginal Lands Council or Indigenous-run organisation, including Link Up,” Ms Buckskin said. “This policy is not intended to cause offence, but is an important measure to protect Indigenous arts funding. Ms Buckskin said the changes would apply from today.